There’s nothing more captivating than a confident, beautiful smile. Whether it’s meant to attract someone or just be able to smile to your heart’s content in front of everyone, a smile is more dazzling when you’re worry-free. So, what greatly affects how confidently smile? Surely, everyone knows that the answer to this question is our pearly whites. When you have some insecurities with how your teeth looks, you might want to just settle on showing an unconfident, tight-lipped smile. It’s our mission, at ORCHID Family Dental, the leading source of top-quality dental services in Richardson, Texas, to help you overcome your smiling insecurities, with our quality dental care services. 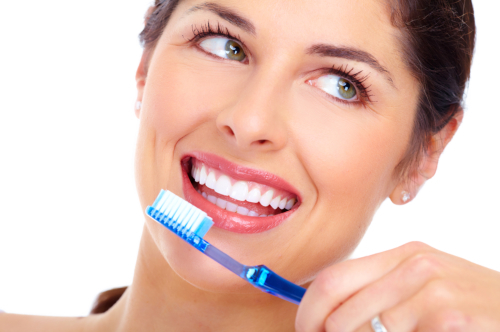 Brushing is basically the most fundamental oral care practice. The importance of brushing at least twice a day has been engraved in our minds for as long as we can remember. Dental health experts, like us at ORCHID Family Dental, suggest brushing after every meal and, most especially, right before going to bed, after your very last treat at night. Your toothbrush is also your ultimate weapon to preventing the most common dental health issues, such as teeth discoloration and gingivitis. A worn-down toothbrush is practically useless in cleaning your teeth, especially those places that are a little difficult to reach. Change your toothbrush at least every 3 months for whiter and cleaner teeth. Your diet will also be a factor on how white (or not) your teeth will be. There are certain foods that help naturally whiten your teeth. Examples of natural teeth-whiteners are strawberries, apples, carrots, oranges, and yogurt. Baking soda is also an ingredient found in the kitchen that is well-known in whitening teeth. On the other hand, there are also foods that you should avoid, or at least take with a limit, to avoid teeth discoloration. Examples would be acidic foods, coffee, tea, sodas, wine, and pomegranates. These foods are, according to dental health experts, the biggest culprits in staining teeth. Of course, it’s not all the time that you can get a chance to brush your teeth after eating something, especially when you’re eating outdoors. However, you can always have access to clean plain water that you can and should rinse your teeth with after every meal or snacks to remove any trace of food on the surface of your teeth. Aside from water, it’s also important to use mouthwash at least once a day to kill bacteria that may lead to plaque build-up. You may think that you have perfected your oral care routine but, sometimes, it may not be true, or at least not working for you. Perhaps, genetics is the contributing factor to your teeth discoloration and it’s not easily treated with organic and natural products so you will have to consult a dentist for an appropriate treatment. No one knows how to treat your teeth better than a dentist and that’s why it’s highly advised that you visit your dentist at least twice a year, regardless of your oral health condition. At ORCHID Family Dental, we have cost-effective and quality dental care services, including teeth whitening and other cosmetic dentistry to bring back your high confidence in smiling. Your confident smile is one of your biggest assets and should, therefore, be protected at all costs. As the most reliable provider of dental services in Richardson, Texas, at ORCHID Family Dental, we offer the best dental care solutions to help you face the world with great confidence and a perfectly beautiful bright smile. Check out the complete list of our services at www.orchidfamilydental.com. This entry was posted in dental, dental care, dental care, dental sevices, general dentistry, gum care, oral health and tagged dental care, dental health, gum health, oral health, teeth whitening. Bookmark the permalink.